You’re only moments away from having everything you need to enjoy the freedom of safe and independent living – order today! 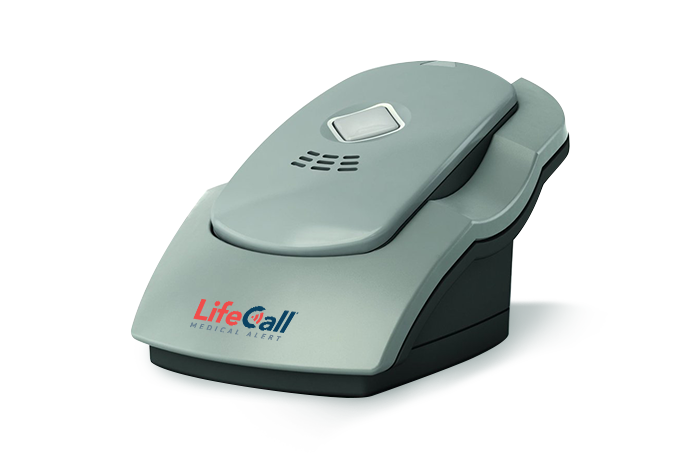 LifeCall Basic is our standard medical alert system – affordable, reliable and easy to use. This system features a waterproof transmitter which can be worn around your neck as a pendant or on your wrist. The call button is easily pressed in an emergency and can communicate with the pre-programmed, hospital grade Medical Alert Base Station up to 1,000 feet* away, giving you 24/7 access to our emergency Response Center. LifeCall with FallAlert™ is designed to detect falls through its ability to distinguish between everyday actions (such as sitting or lying down) and the sudden drop that accompanies a fall. 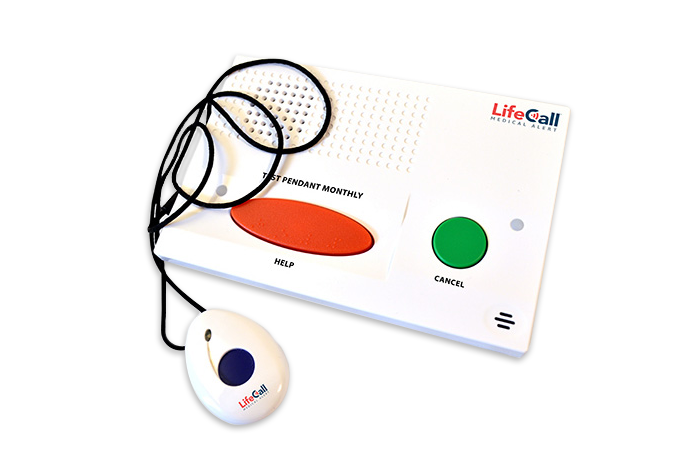 For persons with a medical history or risk of falling, LifeCall Medical Alert Systems with FallAlert may be the optimum choice. This system features a waterproof transmitter that can be worn around the neck as a pendant even in the shower where most falls occur. 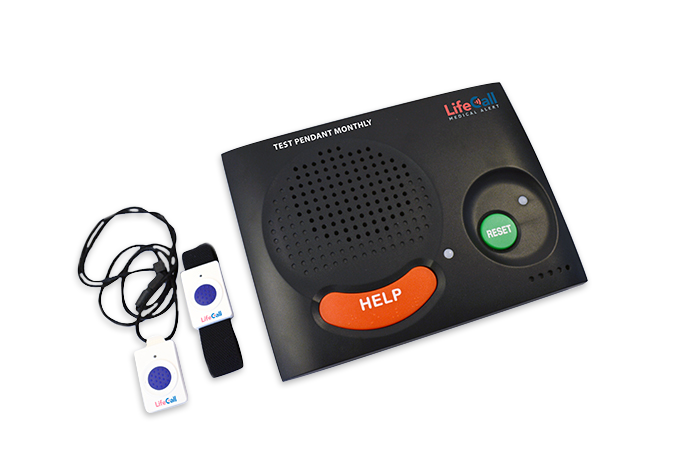 LifeCall is pleased to offer a medical alert system solution for persons without a standard hard-wired phone line in their home. LifeCall Cellular customers enjoy the same industry-leading service as those who use our traditional systems, as well as 24/7 access to our emergency Response Center – with cutting edge technology and a dedicated team of highly trained Emergency Care Specialists – all at the push of a button. For your convenience, LifeCall Cellular is available in both Basic and FallAlert™ models. The MobileAlert™ system expands your horizons by providing the help and safety you need with the independence you desire. Through its two-way voice response system, you enjoy prompt access to emergency assistance anywhere you go – all at the press of a button – anywhere in the US where there is cellular coverage. The Mobile FallAlert™ system discreetly offers fall-detection capabilities and allows you to stay connected to private caregivers and public emergency services through multiple location-tracking technologies and two-way, hands-free cellular voice communication via AT&T’s 3G cellular network. LifeCall now provides a combination system that offers the best of all worlds. An enhanced SmartCare system, the MobileAlert Pro goes beyond typical Medical Alert products by integrating home monitoring with GPS-locating mobile monitoring. When coupled with our FallAlert™ option (please inquire), the MobileAlert Pro provides comprehensive protection at home, out-of-doors, and on-the go. When you want safety and security for your loved ones, your home and your possessions, you owe it to yourself and your family to explore our Medical Alert Systems with 24/7 protection solutions. 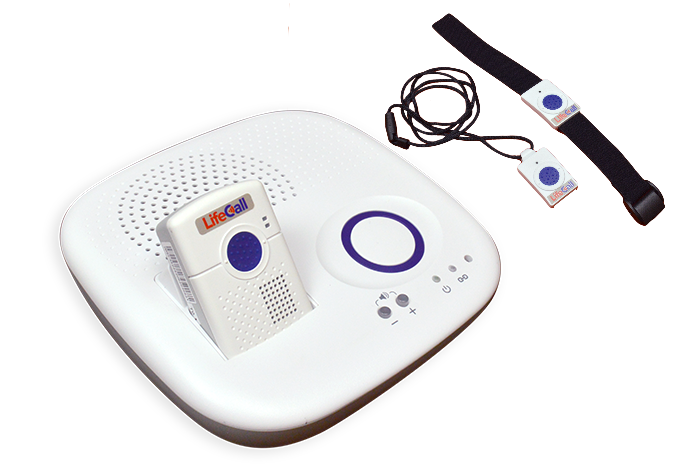 LifeCall Medical Alert Systems has over 40 years of experience in life safety and security solutions for seniors and at-risk persons seeking to retain their independence and remain in their own homes. The cornerstone of LifeCall’s nationwide service is a 24/7 US-based UL®-listed, FM-Approved and CSAA 5-Diamond Certified Response Center, in which every Emergency Care Specialist on our safety and security monitoring team is CSAA Level I or Level II certified. 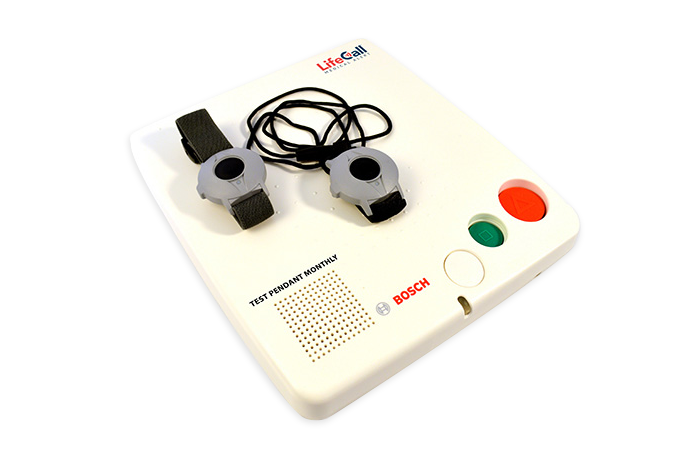 LifeCall Medical Alert system platforms only incorporate the most rugged, durable and reliable technology available. Our hospital-grade medical alert devices feature the technology of global leaders in medical communications with millions of systems in use around the world. LifeCall supports over 150 different languages to communicate with our non-English or English-as-Second-Language clients. Popular options include: Chinese, Spanish, Polish, French, and Vietnamese. The moment an alarm signal is received at our Response Center, trained safety and security Emergency Care Specialists assess the situation and, as necessary, contact family members, neighbors, or dispatch emergency services. LifeCall Medical Alert Systems provides exceptional service, unmatched dependability, and a commitment to enriching the lives of our clients is why LifeCall is trusted by thousands of families across North America. With LifeCall Medical Alert Systems your home and loved ones are protected by advanced medical monitoring technology which provide reliable security and continuous protection every hour of every day. Our Response Centers support you around-the-clock with state-of-the-art technology backed by powerful equipment, high-tech infrastructure and secure communication links. No matter the time, day or night, if you sense trouble simply press the alert button on your wristband or pendant. A signal will be sent to the Response Center and a professional emergency response operator will quickly establish two-way communication. As soon as an alarm signal is received, one of the CSAA-certified Emergency Care Specialists on our safety and security monitoring team will inquire as to whether you are okay or need assistance and, if there is an emergency, the appropriate party(s) will be notified and/or a responder (medical, fire or police) will be dispatched. 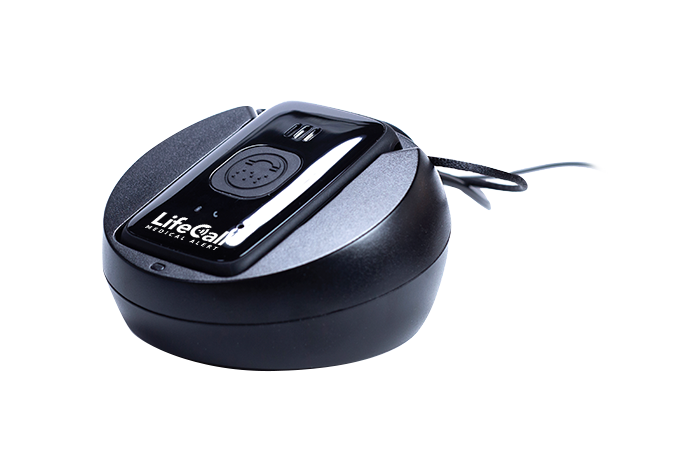 You never feel alone with LifeCall Medical Alert Systems. Sheryl, Phyllis and Stephen R.
What will LifeCall cost you? LifeCall has several options depending on the plan you choose. No matter which system is best for you, you can rest assured that you will never have to purchase equipment, pay activation or installation fees, sign a long-term contract – and the price is guaranteed to never go up once you subscribe! When should a senior consider a medical alert system?